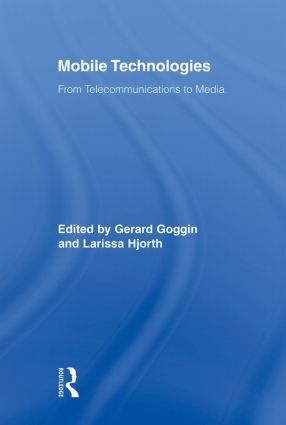 In light of emerging forms of software, interfaces, cultures of uses, and media practices associated with mobile media, this collection investigates the various ways in which mobile media is developing in different cultural, linguistic, social, and national settings. Specifically, contributors consider the promises and politics of mobile media and its role in the dynamic social and gender relations configured in the boundaries between public and private spheres. The collection is genuinely interdisciplinary, as well as international in its range, with contributors and studies from China, Japan, Korea, Italy, Norway, France, Belgium, Britain, and Australia.